First, it has promised a tax cut almost twice as big as the government’s for lower and middle income earners, $928 a year against the government’s $530. 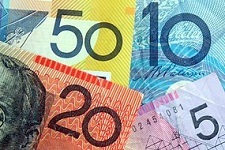 Third, it has promised to return the budget to a bigger surplus than the government’s planned $2.2 billion for 2019-20, and to press on to a surplus of at least one per cent of GDP. 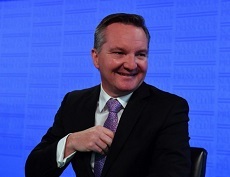 The ABC election team on Budget night suggested that the purpose of the 2018 budget was to generate talking points that the government could use in the forthcoming election campaign. It has been going on for a while. Turnbull ScoMo and all reckon they offer “jobs and growth” whereas Shorten is going to hit you up for $200 billion extra in taxes, and simply can’t be trusted to run anything. Should We Charge the GST on Exports? Exporters often seem to be able to pay less tax than other businesses. One of the key reasons for this is that exporters pay no GST on their exports despite benefiting from government expenditure on things things like education and various forms of assistance to industry including assistance that is specific to export industries. Should We Get Rid of the Company Tax? The Commonwealth government has just gained support for a tax cut for business’s earning less that $50m per yr. The benefits of this change are debatable. The only things we can be sure of is that badly needed government revenue has been sacrificed and if anything, the administration of this tax will become more complex. It might be smarter to get rid of this complex and difficult to administer tax altogether and replace the lost revenue by either increasing the take from already existing taxes and/or some new and simpler tax. Neoliberalism has run its course, Paul Keating has spoken. 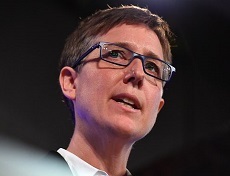 Sally McManus, the new Secretary of the ACTU announced the demise of neoliberalism as a useful economic force in her speech to the National Press Club National Press Club, as well as defending her comments that anti-strike laws were unjust and could be disobeyed, and setting out the union peak body’s case for a $45-a-week increase in the minimum wage. 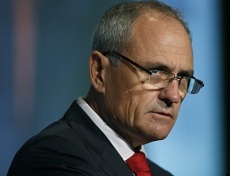 McManus said that neoliberalism and trickle-down economics had caused inequality to reach a 70-year high in Australia and that “working people and ordinary Australians have been the victims”. “The Keating years created vast wealth for Australia, but has not been shared, and too much has ended up in offshore bank accounts or in CEO’s back pockets.